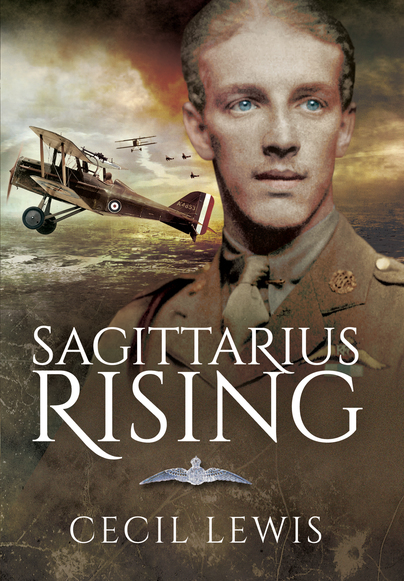 You'll be £14.99 closer to your next £10.00 credit when you purchase Sagittarius Rising. What's this? In this vivid and spirited account the author evocatively sets his love of the skies and flying against his bitter experience of the horrors of war, as we follow his progress from France and the battlefields of the Somme, to his pioneering defence of London against deadly night time raids. The classic memoir of an 18-year-old who goes straight from school into the Royal Flying Corps, and with only 13 hours flying time finds himself in dogfights over the Western Front. The prose doesn’t date a jot. Engaging, spirited account, by turns horrifying, moving and exhilarating. Not only is this a very fine first hand account but it serves to stand testament to all those young men who risked their lives day after day in aerial combat in the skies over the battlefield of all fronts. Magical evocation of the lonely battle fought in the clouds. Classic . . . the definitive account of aerial combat - full of passion and poetry. Cecil Lewis distinguished himself in action with eight victories throughout WWI and was awarded the MC. After the war he became a flying instructor in China and later achieved fame as one of the founders of the BBC, and as a respected playwright. He died in 1997.